It has been estimated that a number of medical and healthcare conferences which will take place in the region this autumn will give the local economy a £800,000 boost. 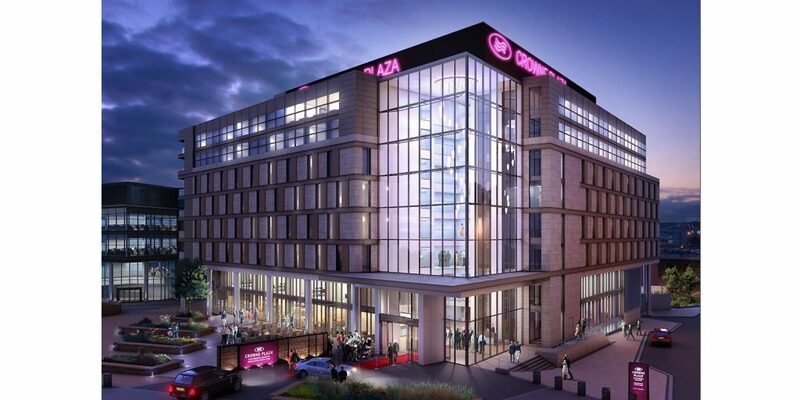 The International Society of Paediatric Oncology and European Neuroblastoma Group’s (SIOPEN) Annual General Meeting and 4th Neuroblastoma Research Symposium is to be held at the brand new Crowne Plaza Hotel on 24 – 27 November. Two hundred delegates will attend a range of meetings, workshops and talks over the four day event. In addition attendees will enjoy a drinks reception at the BALTIC Centre for Contemporary Art and a conference dinner within the Great North Museum Hancock. Professor Deborah Tweddle, professor of paediatric oncology at Newcastle University and chair of the local organising committee for the conference said: “Newcastle University has a long standing history of internationally renowned neuroblastoma research having made major advances in the genetics and treatment of this aggressive childhood cancer over the last 20 years. November also sees 150 delegates descend on the city for the Society for Intravenous Anaesthesia UK (SIVA UK) Annual Scientific Meeting at Newcastle Civic Centre. Combined with SIOPEN the two conferences will pump over £400,000 into the local economy. Paul Szomoru, head of business tourism at NewcastleGateshead Initiative said: “Our Convention Bureau is intrinsically linked with the inward investment team, focusing on our three key sectors of strong economic growth and academic excellence; Science & Healthcare, Creative & Digital and, Marine & Offshore. In addition the team has an excellent relationship with the various institutions where this industry leading research is taking place. We seek to thread together the key academics, researchers, influencers and conference organisers, supporting in the creation of outstanding conferences and events. The destination’s excellence within this sector attracts a wide range of science and healthcare conferences to the region. In October NewcastleGateshead also welcomed the 6th Annual Alliance for Healthy Aging, hosted by NUIA, and the British Association for Cancer Research’s Breast Cancer Conference who together provided an additional £400,000 boost to the local economy.